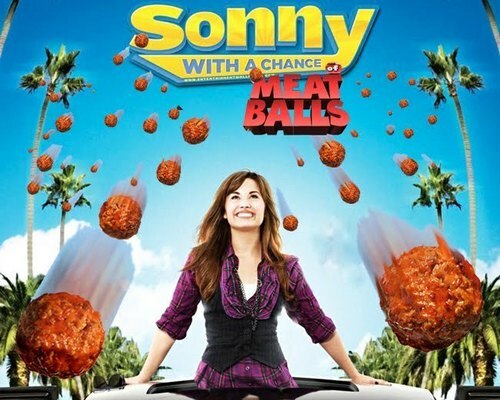 Sonny with a chance of meatballs. haha! LOL sonny with a chance of meatballs. Wallpaper and background images in the Sonny Munroe club tagged: sonny with a chance sonny munroe demi lovato 1x01: sketchy beginings A chance with sonny. This Sonny Munroe photo might contain anime, comic, manga, cartoon, comic buch, karikatur, and comics.